A member of the Windsor chain, the very pleasant Excelsior sits on a wide corner offering excellent ocean views. 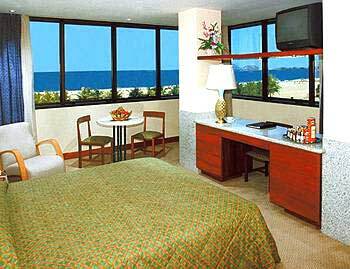 Rooms either have a side view (superior) or a full ocean view (frentemar). 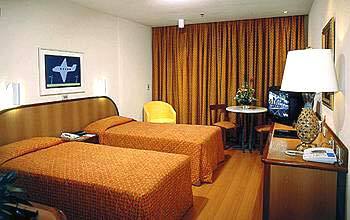 All are elegantly furnished, spotless, and very well maintained. 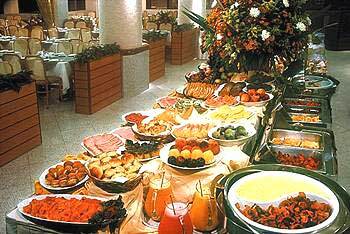 The hotel also throws in free local calls, free parking, and an excellent breakfast buffet. 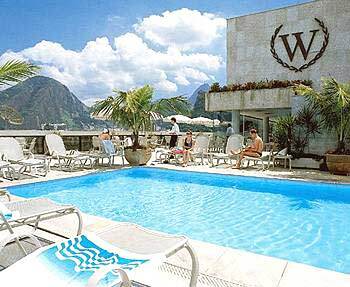 The rooftop swimming pool and terrace are also a great place to unwind after a long day of exploring Rio’s many attractions. Sitting right on the Copacabana beach waterfront is the fabulous Windsor Excelsior Hotel, one of the most lavish 4-star options in Rio de Janeiro. Guests can enjoy sweeping panoramic views of the blue Atlantic Ocean, not to mention the iconic Sugarloaf Mountain in the city’s background. 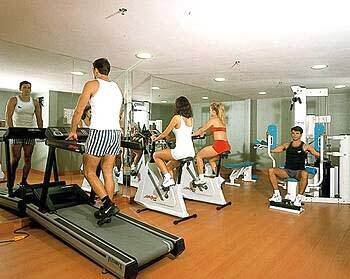 But don’t just see the sights from afar during your stay – the hotel is just 2.5 miles (4 kilometers) from Sugarloaf and Christ the Redeemer, 3.5 miles (5.5 kilometers) from Ipanema Beacha, and the Cardeal Arcoverde subway station is a convenient 3 blocks away. Spend some time at the Windsor Excelsior fantastic rooftop terrace which features a swimming pool, bar, and even gym. 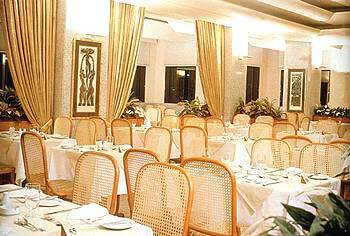 The hotel’s in-house restaurant serves a tropical buffet breakfast, and lunch and dinner options feature Brazilian and international specialties. 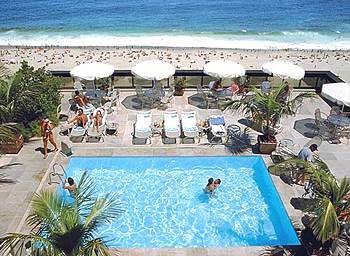 Down at the beach, the Windsor Excelsior provides guests with chairs, umbrellas, and towels so you won’t have to worry about the little things on your Brazil holiday in Rio de Janeiro. The outstanding Windsor Excelsior Hotel has 223 beautiful rooms featuring tasteful décor with contemporary flair. Guestrooms are spacious and well-lit, both by the natural sunlight streaming through the windows and the atmospheric fixtures on the walls. 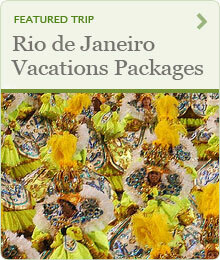 As well, air conditioning, cable TV, wireless Internet, a minibar, and 24-hour room service are all available to provide the most pleasant stay during your Brazil vacation.